I reached my sixth year of blogging last October 25, 2013 and I am becoming more lazy to write something about my training, running thoughts, and my running races. It could be that I was too busy and focused with my training and/or conducting my ultra races as the Race Director or had been out of the Metro Manila area for the much-needed and more reliable Internet connection. On the other hand, Facebook could also be the main culprit as I had more time making my daily status or reading other friends’ experiences on their running adventures and training. I am going back again to my bad habit of using my Facebook Wall and FB Group Pages as my mini-blog, thereby, forgetting my principal responsibility to update my blog. This is the very reason why I was not been able to be productive in writing and posting my stories in this blog. The past year, my sixth year, could be my lowest productive year in this blog and I could see it in my blog summaries that it was my “worst” in terms of the number of posts and the number of “hits”. However, I am still happy and satisfied that my followers are still increasing in number. Accidentally, I was able to browse something in the Internet that motivated me to write again. I was able to see, at a glance, on a website that says or advocates writing “something” at least 500 words every day, without any edits, and by just simply writing anything and posting it in the Internet. So, here I am trying to remember and recall the things that I have to post for the past months of last year and try my best to write and post a 500-word story/essay on running every day. My blog has now transformed into an ultra marathon site as I don’t write about much on marathon and lesser distance races except for trail running. 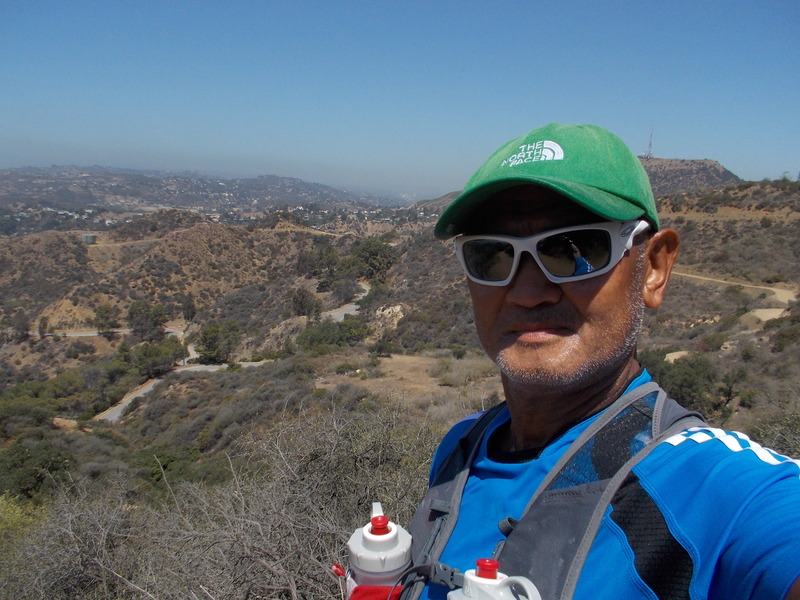 The focus and concentration of my posts had been on the ultra marathon races that I have organized and directed from the yearly Bataan Death March Races (BDM 102 & BDM 160) and the PAU Ultra Races in the different parts of the country. Clearly, my blog had become a source of information of those runners who are runner-participants in my ultra races, to include registration procedures, rules and regulations of races, and their official results. I also had the chance to bring two elite ultra runners to the Vibram Hongkong 100K Trail Ultra on the early part of 2013, with the help and support of Andre Blumberg of Hongkong, and they performed well that they are both qualified for the lottery for the prestigious 2014 Western States 100-Mile Endurance Run. But no matter how good my intention and plans for these two local elite ultra runners, there are still people who try to bring you down and derail your plans. It brought myself into reality that no matter how talented and good our runners are, they have also their weaknesses in terms of their behavior and attitude when they are no longer on the road/trail running in a race. As I go on with my seventh year as a blogger, this blog will go on and on until my race stops. And that race is called LIFE. Keep it up, Sir Jovie! Enjoy your ‘life’ race and please keep blogging. HighAltitude here 🙂 still faithfully reading your blog 😉 that picture is familiar. Was that taken in California, Loma Linda area?